Determine Which Laundry Plan Works Best for You! Start a subscription and get bottles automatically delivered at whatever frequency you choose! 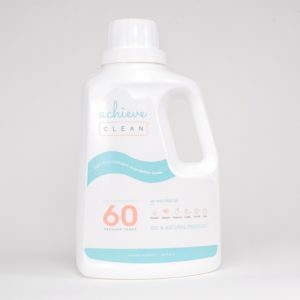 The most popular and convenient way to get Achieve Clean Laundry Detergent – with a flexible subscription! You choose the frequency – every month, every 2 months, or every 3 months. 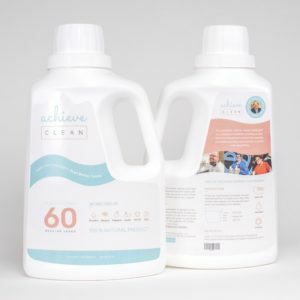 Each box will contain a story of the Achieve Clean workers who helped bring the product to you! Not ready to subscribe yet? Don’t worry! You have the option to buy just one or two bottles now and decide if you want to start a subscription later! SHIPPING NOTE: We currently only ship to Minnesota, North Dakota, South Dakota, Wisconsin, Iowa, Illinois, and Nebraska. If you are outside of our shipping zone, click here to buy on Amazon.